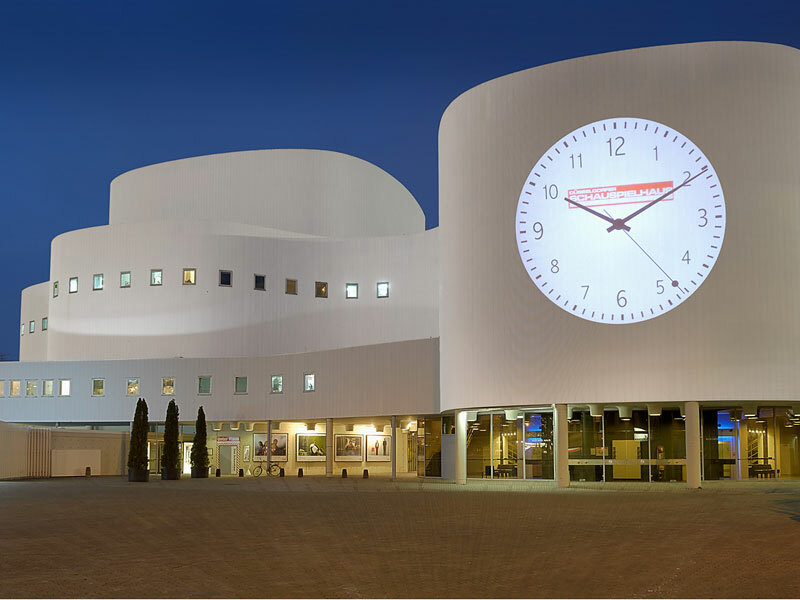 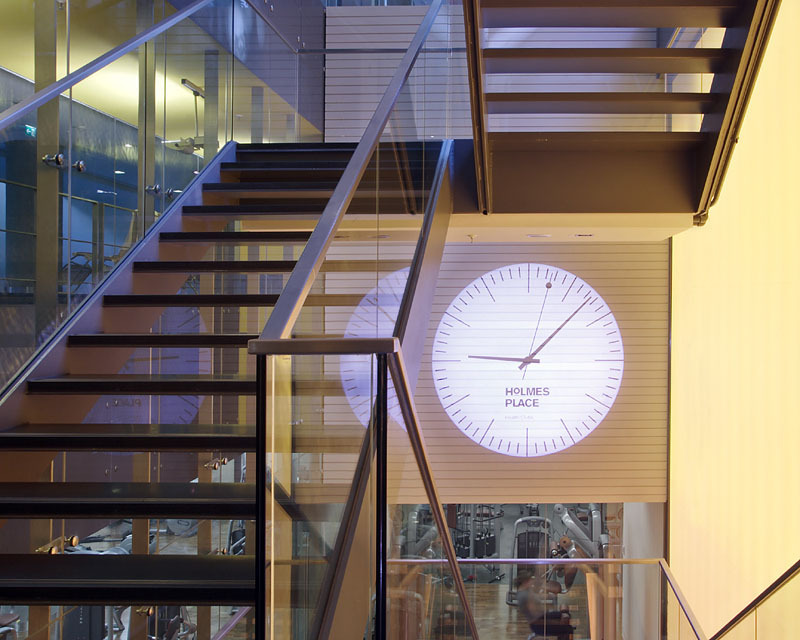 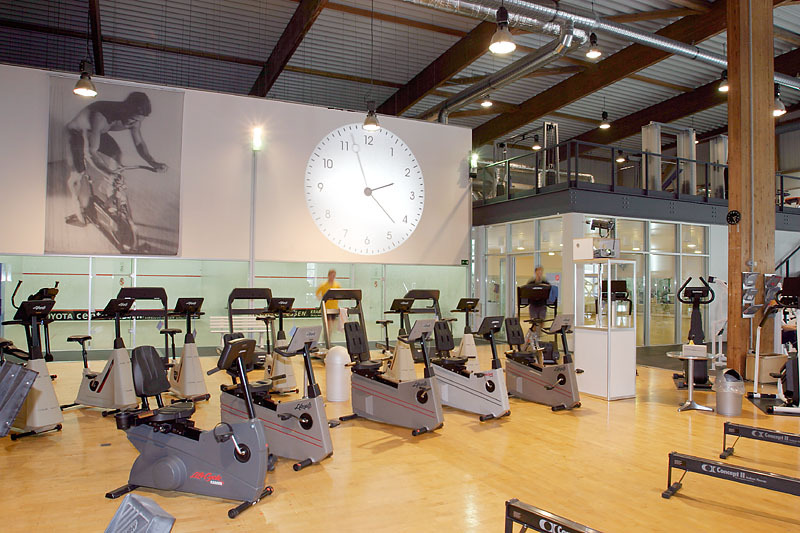 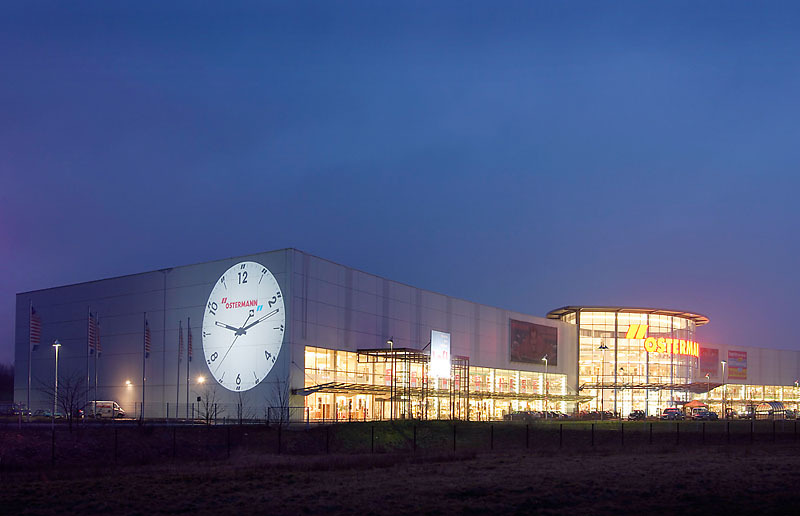 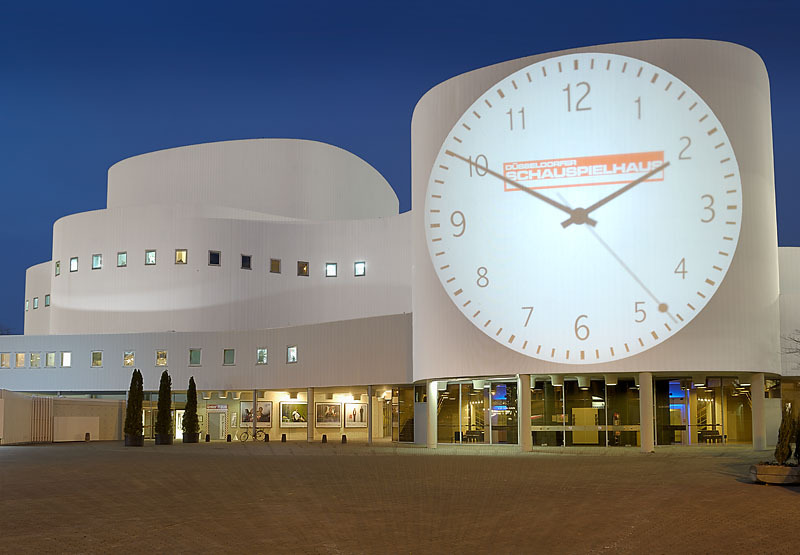 With the Derksen projection clock you can inform a big audience about the actual exact time in every public area, where punctuality is an important part, for instance official buildings, train stations, theatres and cinemas. 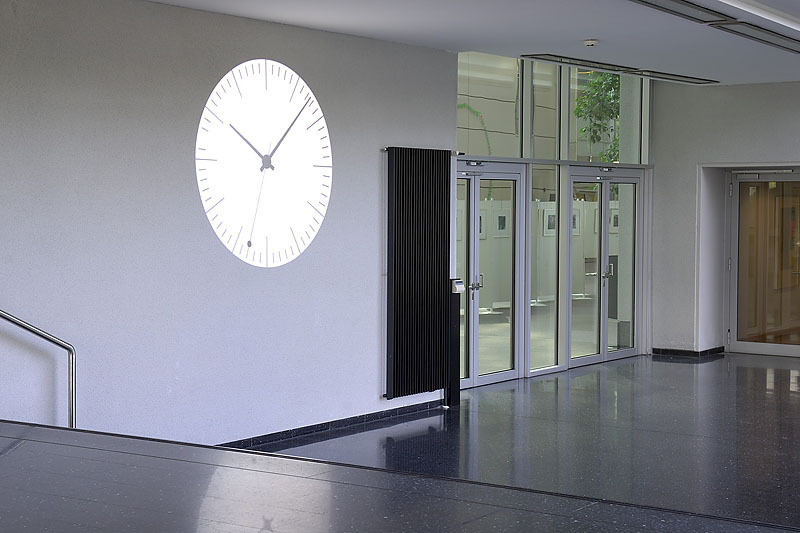 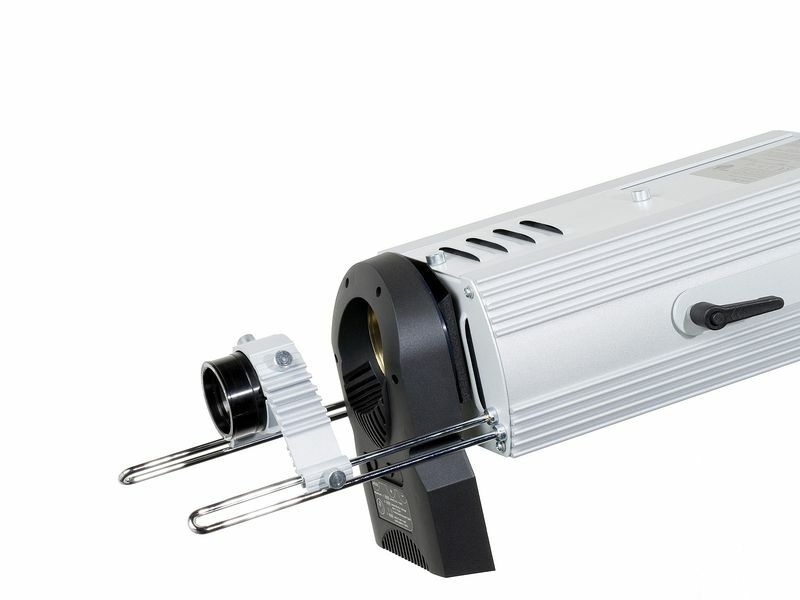 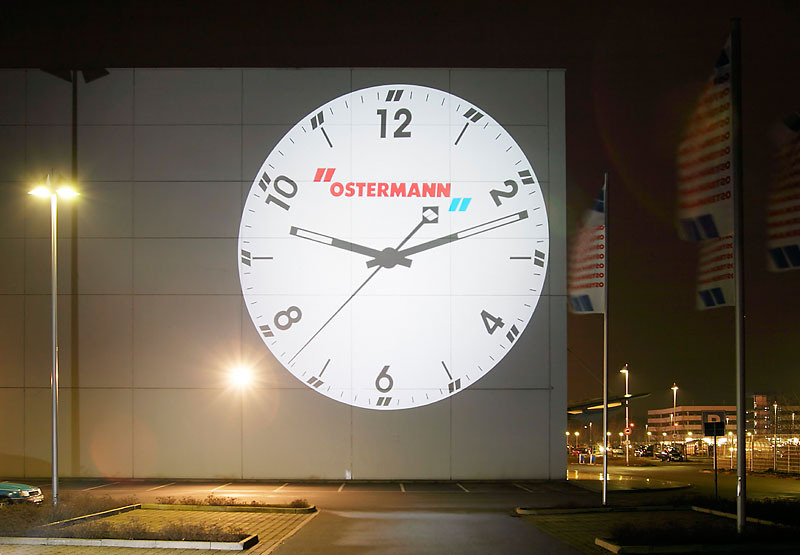 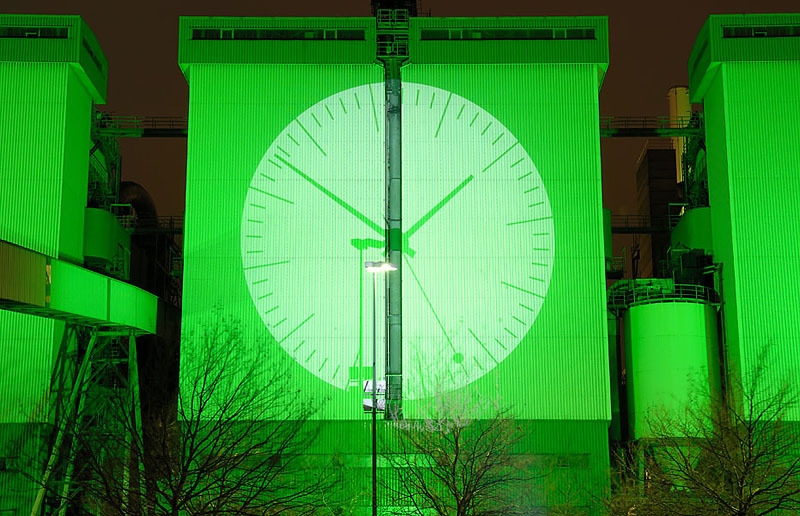 The projection clock is appropriated for indoor use as well as outdoor use with the A-compact-series projectors. 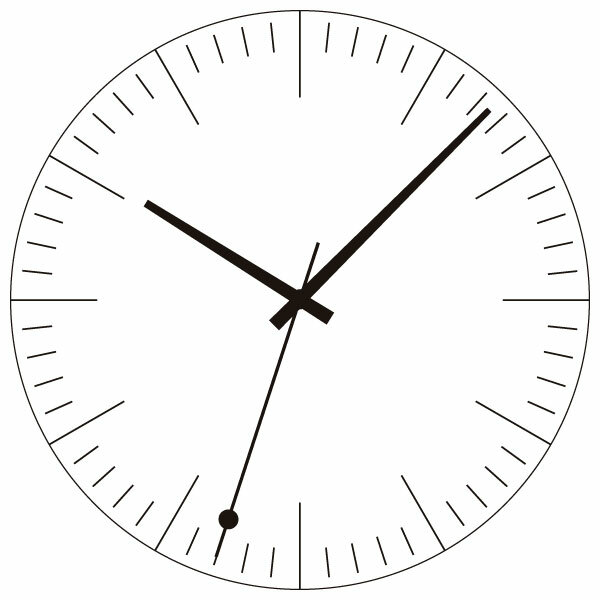 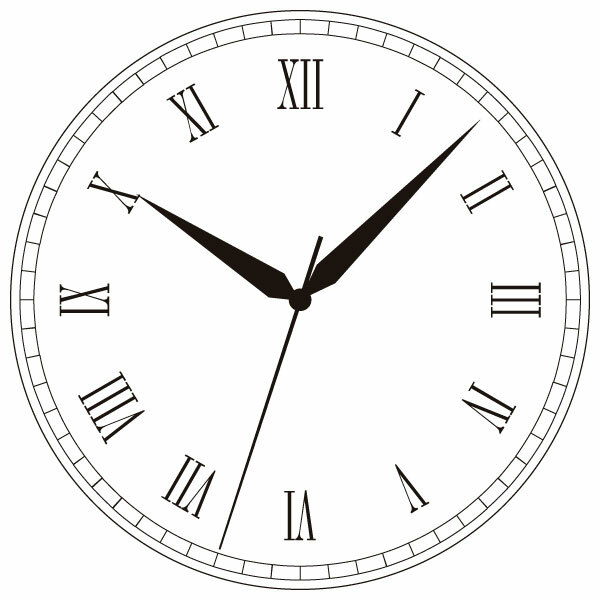 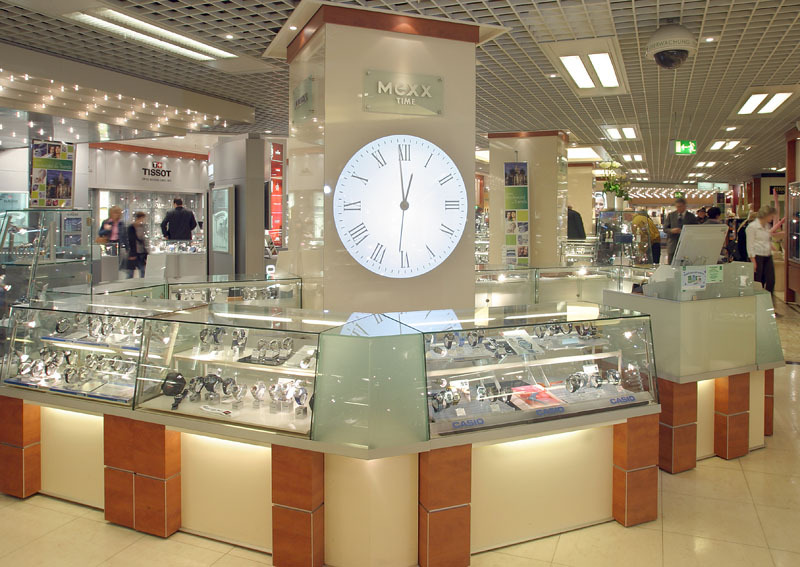 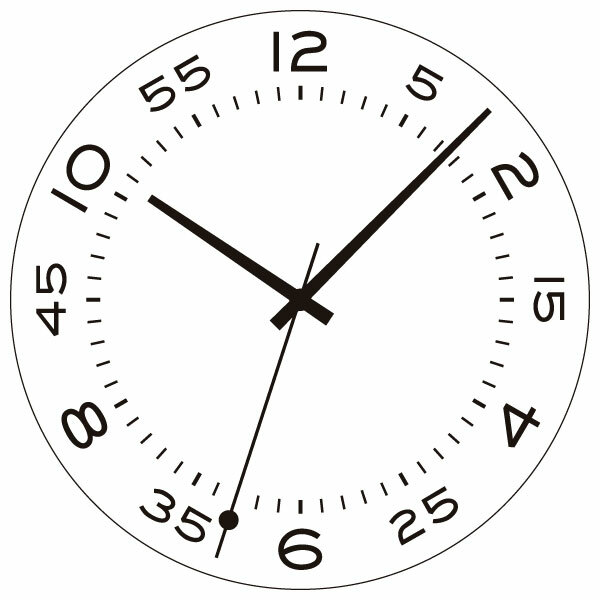 The clock face and the hand style can be fabricated individually by your demands. 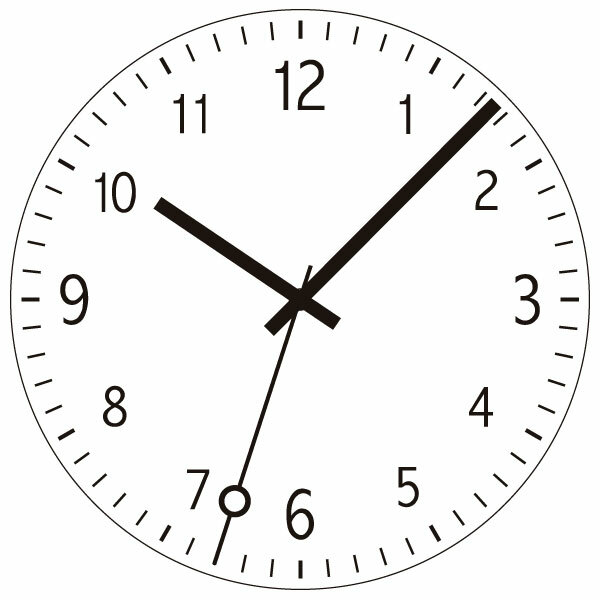 The clockface is convenient to position a trade mark logo on it. 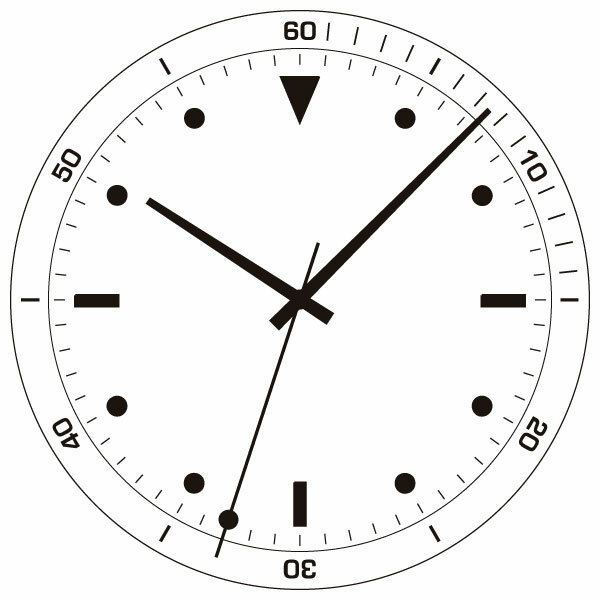 Projection clocks in a design of trademark clocks have proven in product representation of well-known manufacturers.